If I close my eyes, this song conjures up that anticipation of heading home for Christmas. This song will warm your insides like a cup of hot cocoa with a dash of ancho chili powder. One of my favorite alternative Christmas songs of all time! Missing your honey this Christmas? This one needs to go on your playlist of alternative Christmas songs. Santa honey, won’t you bring my baby back to me? Jack Johnson’s version of Rudolph the Red-Nosed Reindeer is my favorite and deserves a listen for the little twist he puts on the classic lyrics. But if you’re looking for something even more original, give this one a listen. You may have heard the version by Michael Buble, but this version from Blake’s album was rewritten with a seasonal feel. Check out these other playlists of alternative Christmas songs: Those Happy J-I-N-G-L-E B-E-double-L-S, A Medley of New Music to Please the Holiday Spirits, and The Indie Christmas Playlist. 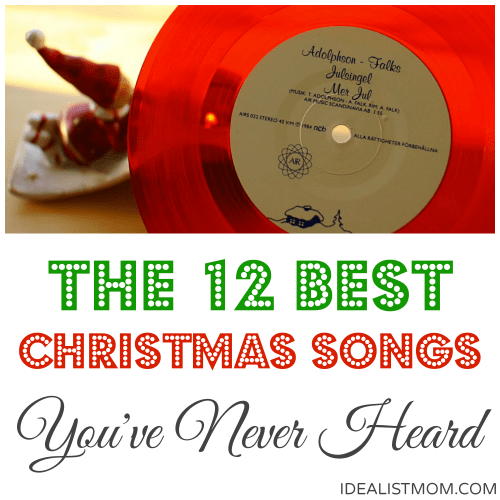 Do you know of any other awesome alternative Christmas songs? A better nickname for Ingrid? Share it in a comment below!